International Gelshield 200 is a quick drying, easy to apply, epoxy primer for protection of GRP against osmosis. 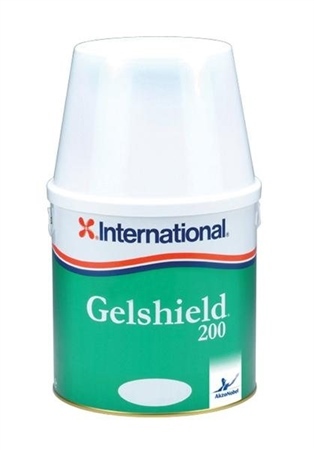 Gelshield 200 provides protection against osmosis in five coats (250 µm). It is useable down to 5°C and fast drying characteristics allows multiple coat applications in a single day. Colours: Grey. Apply by spray, brush or roller.